Emily Gerkin Guerrant was named vice president and university spokesperson at Michigan State University. She was senior vice president for communications, marketing, and public relations for the Michigan Economic Development Corporation. Guerrant is a graduate of Central Michigan University, where she majored in journalism and political science. 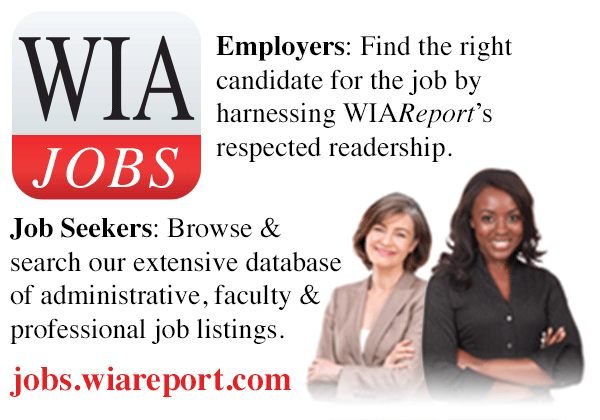 She holds a master’s degree in public relations from Michigan State University. Rebecca Reed Kantrowitz was appointed associate dean of Hendricks Chapel at Syracuse University in New York. She is the former director of resident life at Syracuse. She later served as associate vice president for inclusion, community and citizenship within in the university’s Division of Student Affairs and senior vice president and dean of student affairs. Kantrowitz is a graduate of Allegheny College in Pennsylvania, where she majored in English. She holds a master’s degree in education from Niagara University in New York. 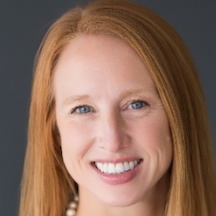 Sara Thorndike was named vice chancellor for administration and finance at East Carolina University in Greenville, North Carolina. She has been serving as senior associate vice chancellor for business affairs and CFO at the University of North Carolina at Wilmington. Thorndike is a graduate of Franklin University in Columbus, Ohio. She earned an MBA at Ohio State University and is working on a doctorate in education at the University of North Carolina at Wilmington. Emily Galindo was appointed interim vice chancellor for student affairs at the University of California, Davis. She has been serving as associate vice chancellor for student affairs. Galindo is a graduate of the University of San Francisco. She holds a master’s degree from Golden Gate University. Sara Davis is the new university archivist at the American Heritage Center at the University of Wyoming. She is the former digital archivist and project manager at the Frederick Olmstead National Historic Site in Brookline, Massachusetts, operated by the National Park Service. Davis holds bachelor’s degrees in English nd humanities and fine arts from the University of Wyoming. She earned a master of library science degree from Simmons College in Boston. 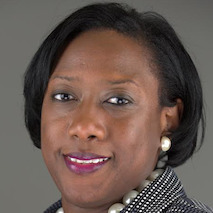 Tomika P. LeGrande was named vice provost for strategic enrollment management at Virginia Commonwealth University in Richmond, effective June 1. She has been serving as vice president for strategic enrollment management at the University of Houston-Downtown. Dr. LeGrande is a graduate of Savannah State University in Georgia, where she majored in chemistry. She holds a master’s degree in chemistry from North Carolina A&T State University in Greensboro, and a doctorate in higher education administration from Texas Tech University in Lubbock. Kristy Roschke is the inaugural managing director of the News Co/Lab at Arizona State University. The News Co/Lab’s mission is to help people find ways of understanding and engaging with news and information. Roschke has been serving as executive director of a program for teenagers at KJZZ public radio in Phoenix. Roschke holds a bachelor’s degree in journalism, a master’s degree in communication, and is working on a doctorate, all at Arizona State University. Cassi Winslow-Edmonson was promoted to director of IU Corps at Indiana University in Bloomington. The organization helps students connect with service-related opportunities in rural Indiana. Winslow-Edmonson was associate director of the Career Development Center at the university. Winslow-Edmonson holds a bachelor’s degree in studio fine arts and a master’s degree in higher education and student affairs from Indiana University. Mona Sedrak is the new associate dean of academic affairs at the University of Cincinnati-Clermont. She was senior associate dean of academic affairs in the School of Health and Medical Science at Seton Hall University in South Orange, New Jersey. Dr. Sedrak is a graduate of the University of Texas Southwestern Medical Center. 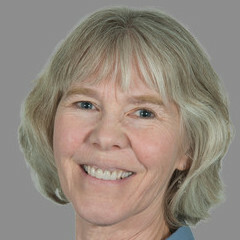 She holds a master’s degree in advanced physician assistant studies from A.T. Still University in Kirksville, Missouri, and an educational doctorate from Walden University. Suzanne E. Weinstein was appointed assistant vice provost for learning outcomes assessment at Pennsylvania State University. She is the former director of instructional counseling, assessment, and research at Penn State’s Schreyer Institute for Teaching Excellence. Dr. Weinstein holds a bachelor’s degree in biology and master’s and doctoral degrees in psychology, all from Pennsylvania State University. Saifa Hussain was named associate chaplain and Muslim advisor at the Scott Center for Spiritual and Religious Life at Middlebury College in Vermont. She has worked as a community organizer in Chicago and Vermont. Hussain holds a bachelor’s degree in religious studies from DePaul University in Chicago. Yesomi Umolu, the exhibitions curator at the Reva and David Logan Center for the Arts at the University of Chicago, was named artistic director of the 2019 Chicago Architecture Biennial, a showcase for emerging talents in architecture and design that will be held from September 2019 to January 2020. Umolu holds a master’s degree in architectural design from the University of Edinburgh in Scotland and a master’s degree in contemporary art curating from the Royal College of Art in London. Laura Block is the new associate dean and chief operating officer for administration and finance at the School of Medicine and Health Sciences at the University of North Dakota. For the past 12 years, she has served as chief financial officer at the University of North Dakota Alumni Association & Foundation. Block holds a bachelor’s degree in accounting and an MBA from the University of North Dakota. She also serves as an adjunct lecturer in the university’s MBA program.